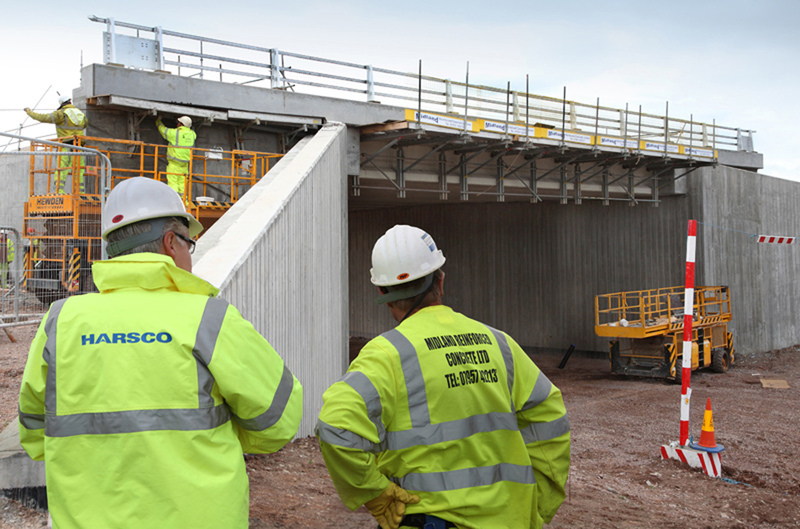 Access and formwork supplier Harsco Infrastructure is working with concrete subcontractor Midland Reinforced Concrete on the construction of six new bridges on the A46 Newark to Widmerpool Road improvement project in Nottinghamshire, in the midlands of England. In addition to these six bridges, Harsco is supplying its design service and systems for the construction of an additional 16 structures on the A46 scheme. The remaining bridges are being built by concrete contractors David Ashley Construction and JOS Structures.